To the thousands of theatre-goers who flock to London’s Gryphon Theatre during the Season, Catherine Jones is a star. Dubbed the Angel of London and gifted with a rare singing voice, the virginal Welsh actress is a striking combination of innocence and sensuality. But Catherine is not an angel. She is a woman with a past; one she is desperate to keep hidden from London Society and in particular, from Lord Valbourg, a man who threatens everything she holds dear. Valbourg can’t afford a dalliance with an actress. Heir to his father’s estate and guardian to his newly orphaned nephew, he is determined to lead an exemplary life. 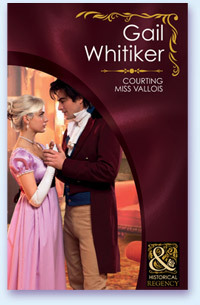 But his attraction to Catherine is powerful and when their lives collide in a most unexpected way, Valbourg is forced to make the most difficult decision of his life. Shakespearean hyperbole or a canny assessment of life? For Egyptian scholar, Laurence Bretton, the latter certainly rings true. When he takes up the role of fictitious playwright Valentine Lawe in order to protect his sister’s reputation, he has no idea the charade is going to turn his life upside down. Or that Joanna Northrup, the beautiful young woman he meets in a bookshop and who shares his passion for the past, isn’t who or what she seems. As lies and misunderstandings abound, Laurence realizes he has to make a choice. Either continue the deception and keep safe his sister’s secret—or tell the truth and risk losing the woman he loves. At London’s elegant Gryphon Theatre, Valentine Lawe’s newest play opens to rave reviews. People can’t stop talking about the mysterious playwright who pens such brilliant social commentary, yet who never appears in society. Some believe him to be a brooding recluse while others paint him as a dashing bohemian. Little do they know that Lawe is actually Miss Victoria Bretton, daughter of a respected London family, who uses the nom de plume to disguise the fact that Lawe’s cutting social satires are, in fact, written by a woman. By contrast, Alistair Devlin is exactly what he seems. Handsome, sophisticated, heir to a viscountcy and the Season’s hottest catch, he is looking to marry a woman of high moral character. One who will take her responsibilities as the future Viscountess Kempton seriously. The chances of his falling in love with a woman whose life revolves around the scandalous world of the theatre are slim to say the least. But when Alistair and Victoria meet, the attraction is powerful—and problematic. Victoria knows she has to make a choice between the man she loves and her passion for writing, or risk losing everything she holds dear. But when rumours begin to swirl that Valentine Lawe isn’t who or what he seems, she realises it may already be too late. All of her life, Emma Darling has been the sensible sister. The one who laughed at the idea of love at first sight and who said passion was the purview of poets and dreamers. She believed if anyone was going to be swept away by such idealistic nonsense it was her impressionable sister, Linette. Little did Emma know that when the right man came along, she would be no more immune to Cupid's arrows than anyone else. But Alexander Taylor is not the right man. Eldest son of the Earl of Widdicombe, he is soon to be engaged to the beautiful Lady Glynnis Pettle, an aristocratic beauty whose blood is as blue as his. As far as Alex is concerned, his only reason for spending time with Emma is to convince her that, for everyone's sake, her sister's engagement to his brother must come to an end. From experience, Lady Annabelle Durst knows how easily a reputation can be lost, so when scandalous accusations are levelled against members of her family, it’s only natural that she would resent the man who made them and do everything she can to prove him wrong. But Sir Barrington Parker doesn’t make mistakes. As a man whose business it is to delve into the underhanded dealings of others, he knows the importance of getting his facts straight. And when he meets the beautiful Lady Annabelle Durst, he realises he’s facing dangers of an entirely different kind. Because by setting himself against the people Anna loves, he is also setting himself against her. Miss Sophie Vallois' looks and elegance make her an instant hit with London Society. No one would know that the French beauty's origins are far from illustrious. Or that her reasons for coming to London have nothing to do with marriage! Robert Silverton also has no interest in marriage. 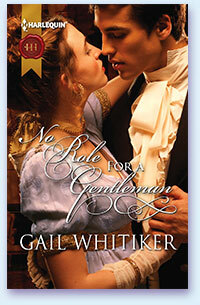 Tainted by scandal and haunted by the past, he has reasons enough for keeping Sophie at bay. But when a so called friend begins courting her with a very different purpose in mind, Robert realises that he has no choice but to make his feelings known-and hope it isn't too late for both of them! What has she to hide? The mysterious heavily veiled woman Edward Thurlow, Lord Garthdale, meets on his early-morning rides in Hyde Park intrigues and then utterly charms him. What dark secret could possibly force her to hide away from society in such a fashion? An eligible catch, Edward has eluded the marital net until now. So why, just when he's resigned himself to finding a wife, should this most unsuitable woman keep invading his thoughts? Oliver Brandon has heard much about the high moral character of the teachers at Mrs. Guarding's Academy. As such, he is shocked to learn that one of them, Miss Helen de Coverdale, is the same young woman he caught in a passionate embrace with a married man nearly twelve years earlier! How can he leave his wayward ward in the care of such an immoral creature? Helen, too, remembers the fateful night she first saw Oliver Brandon, but knows that the truth of the situation is vastly different from the way he remembers it. Unfortunately, when she realises that Oliver still holds her in contempt, she is forced to defend herself, and when she learns the reasons why he has brought his impressionable young ward to Guarding's, she begins to see an opportunity to do so. 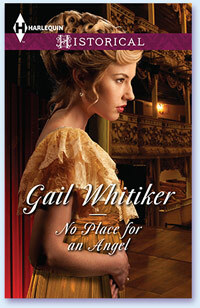 But will she use the opportunity as a means for redemption-or revenge? 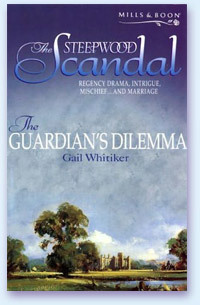 "The Guardian's Dilemma" is part of The Steepwood Scandal, an exciting, sixteen book series from Harlequin Mills & Boon. 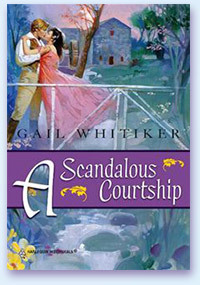 A delightful tale of Regency mischief, intrigue and marriage! Forced to leave her teaching position at Mrs. Guarding's Academy for Girls, Miss Desiree Nash's prospects look very dim indeed. But surely she can do better than to accept help from the dashing Lord Buckworth, a charming rake who offers to take her to London and set her up as his mistress. After all, he may be a gentleman, but surely no respectable lady would ever consider such an outrageous proposal! 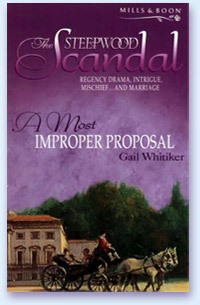 "A Most Improper Proposal" is part of The Steepwood Scandal, an exciting, sixteen book series from Harlequin Mills & Boon. 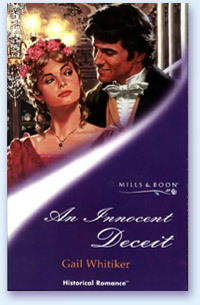 A delightful tale of Regency mischief, intrigue and marriage! 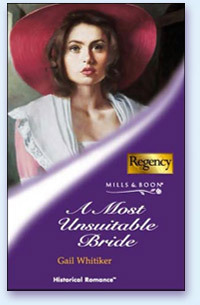 Author’s Note: You’ll notice that the cover on the Kobo Books website reflects a decidedly western theme, but the book is most definitely a Regency. Sometimes these things happen! 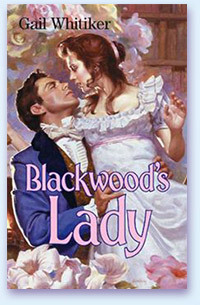 David, Marquis of Blackwood, needs an heir, but his requirements in a wife are precise. Lady Nicola Wyndham appears to fit the bill-she's older, likes country living, has managed her father's household for some time and nothing detrimental is known about her. Hannah doesn't know what to make of her feelings for the man she once called brother. 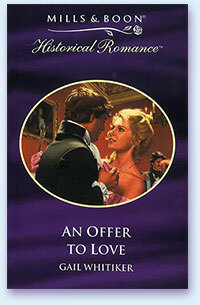 She issues Robert an ultimatum-he must unravel the mystery of her true parentage before she'll agree to marry him. Can he uncover her scandalous secret before it's too late? Having been left a rich young widow, Madelaine, Dowager Countess of Trent, is dismayed to find herself the target of every fortune hunter in London. 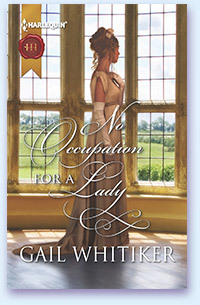 In desperation she flees to her most far-flung house, Pengarron in Cornwall, only to find that her neighbour, the dashing Earl of Trevellyn, has been meddling in her household affairs. But meddling is not the worst of his trangressions and Madelaine soon begins to wonder if she will ever be able to trust him again. A difficult question, given that she's already well on her way to falling in love with him. Nicholas Longworth fell in love with Lavinia Duplesse on the day she married another. 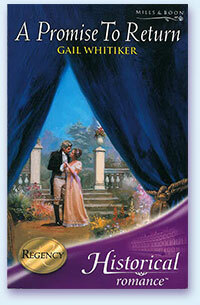 Now years later, Lavinia is a widow and Nicholas has a second chance at happiness. But only days after the couple celebrate their engagement, Nicolas is sent to France to find a traitor who has been passing on vital intelligence information and killing British agents. And that's when events go terribly wrong. On a lonely stretch of road, Nicholas is shot and left for dead. When he is eventually rescued and returned to London it is with no memory of his previous life or of the woman he was to have married. But his problems don't stop there. The man who tried to kill him is back in London too--and this time he's after Lavinia!